Amazon links on this website are affiliate links. You'll pay the same price for whatever you purchase, but I'll earn a small commission. 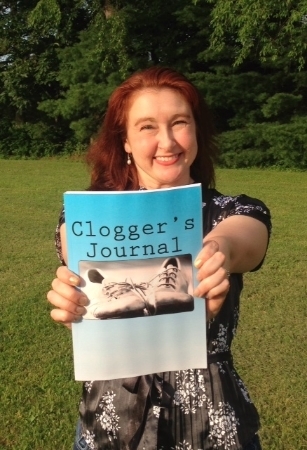 Clogger's Journal is also available on Barnes & Noble. Bear in mind this is a diary for YOU to write in, not a novel. A look inside Clogger's Journal at the Clogging Routine pages. Otis & Daisy's skit book is no longer available, but it was lots of fun to create! 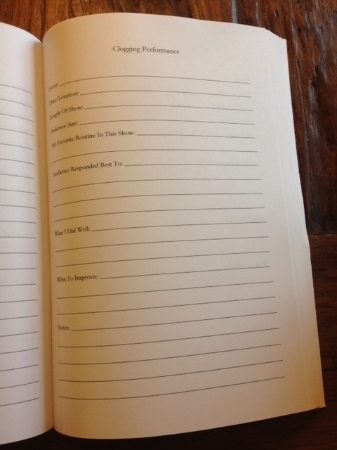 A look inside Clogger's Journal at the Clogging Performance pages. Alfred the Possum: On the Road with the Green Grass Cloggers. A book about pet possums who travel with a clogging group? Yes, please! The Tumbling Turner Sisters is not about clogging, but cloggers make a brief appearance in chapter twelve. Daisy Tappytoes Dares to Dance shows us that sometimes only dance can save the day! Clogging is not mentioned specifically, but there is a baby deer wearing red tap shoes. What’s not to love? Tasha the Tap Dance Fairy gives us a handy excuse for our mistakes in dance class. The fairy dance ribbon must be missing!